170,85 € 170.85 tax incl. 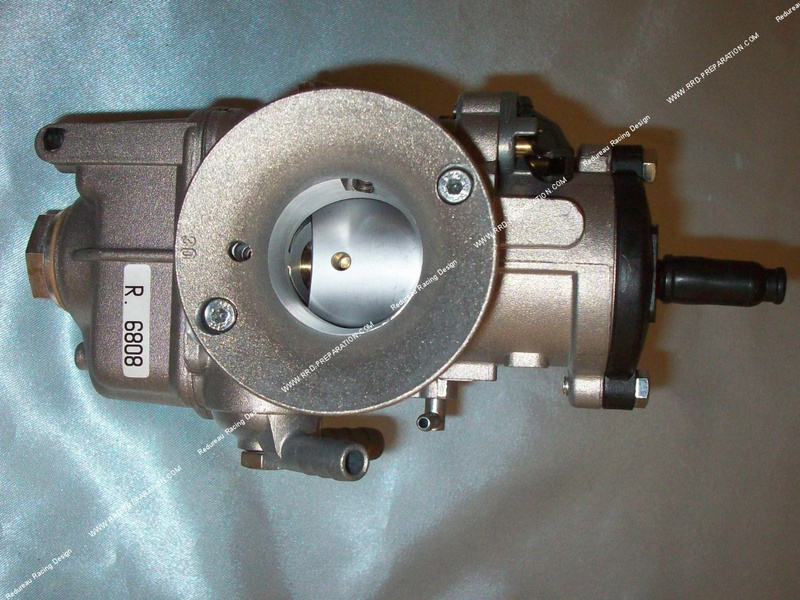 A very good carburetor only for competition, the PHBE 30 HS is made ​​for larger engine configurations 2 times. It has a round basket, a large tulip-making for better input into air intake, adjustments are made ​​easily through the tank cap billet aluminum. The accessories are all made ​​of aluminum. This carburetor certainly be poorer than a carburetor flat bushel recovery, but it will make you reach very high speeds without any problems! This carburettor has an architecture approaching the famous DELLORTO PHBH but reviewed and corrected a maximum. The needles wells, cup bushel, etc ... everything has been revised for better performance. This model comes with a dual fuel arrival, nothing prevents you from deleting an entry or change the finish for a mono input. A very large carburetor for extreme performance and exceptional quality. This model is very well preset. View machining and meticulous finish of this carburettor. The PHBE 30 has a facility settings. The PHBE the tulip turns to ask several diameter air filter.